For over forty years, Michal lived and reigned in David's court. She was the beautiful and proud daughter of King Saul and the prize David would risk his kingdom to win. Behind the palace doors, beneath the burning sun of the desert, or fleeing from Absalom's warriors, Michal was at the center of court intrigues. 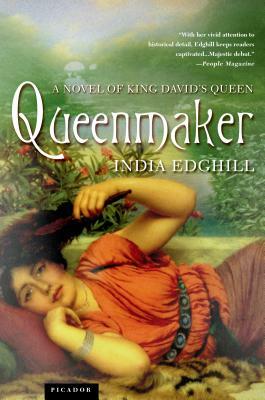 Queenmaker introduces in unforgettable detail the characters of one of the greatest periods in Biblical history—their public deeds and private thoughts—and gives us the court of the kings as only a woman could see it.